Estate planning is something many of us just don’t like to think about, yet it’s one of the most important things you can do to make sure that your legacy is preserved the way you want it. After all, nobody wants lawyers or government bureaucrats to decide where our assets should go once we’re gone. Here are three important steps to take right now with your estate plan. First, be sure that you HAVE an estate plan. Many people believe that estate planning is only for those with a lot of money, or that the process of setting one up is too complicated, and costly. But that really doesn’t have to be the case. If you’ve got young children, it’s especially important to make sure that they don’t gain control over their share of your assets before they’re able to handle them. A good estate plan could specify who will take care of your minor children. It may prevent family conflicts over your assets, and it could also potentially avoid the costly and public process of probate. Okay, you’ve got the plan, now step number 2 is to make sure your beneficiaries are all up to date. Hey, things change in life – divorces, death, marriages, kids, grandkids, and a whole lot of other situations that may require you to rethink where you want your assets to go. You also need to make sure that ALL of the estate plan is updated. Maybe you’ve updated your will after a new marriage, but you didn’t change the beneficiary designation on your IRA. Then your ex-spouse receives the proceeds from the IRA, leaving your intended heirs out in the cold. 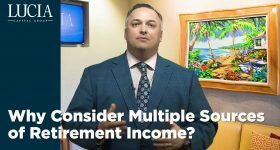 And speaking of beneficiaries, the third important step you need to take is to make sure your IRAs are properly designated. Normally, retirement accounts have what are known as beneficiary designations. You just state on the form who you want the money to go to after you’re gone, and that’s it – no creditors can touch it, and it passes outside of probate. BUT – be careful not to make your estate the beneficiary of your IRA. 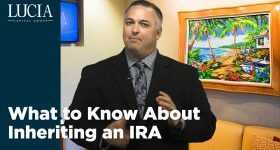 If you do that, then your IRA potentially becomes part of the probate process, thus raising the costs of settling your estate and maybe reducing how much your heirs receive. Also, your non-spouse heirs would have to take all money out within five years. So here’s what you need to know: Make sure your beneficiaries are all up to date. Have direct beneficiary designations. And, oh yeah – make sure you HAVE an estate plan, regardless of your net worth. 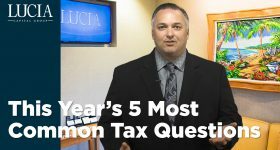 A well-coordinated financial, estate, tax and risk management plan could go a long way toward making your life just a little bit easier later on for both you, your spouse, and your heirs. 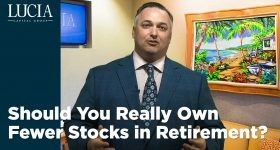 Raymond J. Lucia Jr. is chairman of Lucia Capital Group, a registered investment advisor and CEO of its affiliated broker/dealer, Lucia Securities, LLC, member FINRA/SIPC. Registration with the SEC does not imply a certain level of skill or training.